Esri ArcGIS connects maps, apps, data, and people so you can make smarter, faster decisions. It gives everyone in your organization the ability to discover, use, make, and share maps from any device, anywhere, anytime. "ArcGIS: The one stop tool for most civil engineering projects"
ArcGIS is a robust software, which allows engineering drawings, designs as well as calculations. It is one of the most efficient data management tools that I've used. I love the fact that it can incorporate information into the attribute table straight from an excel/access database. Also the fact that the data points get transferred from the hand held gps units in the field. I feel the concept of geodatabases can be a little tricky/cumbersome. Also, digitizing can become a little difficult as tools like symbology, etc. aren't so friendly to use. However, the best part is the ArcGIS tutorial. I've always found my answers through the search/help menu. I am a civil/environmental engineer. I've worked on various projects, including pipeline rehabilitation, water distribution network, stormwater management, etc. I've used GIS hands on to delineate watersheds, mark utility information on the maps and to populate the corresponding attributes. I've also used it to classify the area based on various factors like land use, zoning density, population, soil type, etc. "ArcGIS is unparallel when it comes to mapping "
"ArcGIS is every water and environmental engineer must have"
"A very strong suite of GIS solution"
I usually manipulate data, do spatial analysis on ArcGIS desktop. It's very reliable and trustworthy software that help me with a bunch of spatial data and non-spatial ones. It is very user-friendly that I can easily to get a hand from the built-in help. I also recommend their extensions, such as network analyst tool. This tool helps almost 90% of the routing solutions of my work. Sometimes I feel the modelbuilder in ArcMap ( one of the platform that I do the map most) is a bit buggy. Although it's a tool that help with recording the whole process, it has a limit of usage. Before using ArcGIS suite, it would be better to know how to use its tools. For that, in ArcGIS, users can easily find the usage of every single tool. Esri also provides a bunch of tutorials on their website as well as some useful training. I'm dealing with some local business project within a city in Canada. I am providing a business locating strategy for the business. I really like ArcGIS. It combines the most useful and essential tools together that benefits my work and shorten my working time. First, I can easily use its conversion tools to convert the original datasets to my working geodatabases. second, I found it helps me with almost spatial analysis, network analsis and georeference the aerial photos for my project. Lastly, I usually need to manipulate my data in ArcGIS that I could not find another substitution. "Esri ArcMap - Great for School Systems"
The software allows us to properly map and define our zone boundaries for our School Attendance Zones. We are able to quickly identify if a student lives in zone or out of zone since we have all of the County Tax Maps imported to our system. The companion software that our Student Services department uses for map lookup can be a bit clunky at times and requires a lot of resources for the size of our district map. This can be problematic when we need to quickly identify things at the start of the school year. We are able to identify any zone changes that need to be made to address school sizing issues with its Geolocating features from importing our student addresses to the system. We are also able to predict what the next few school year enrollments will be due to the ability to generate reports based on imported data. "A leading tool for managing, analizing, creating and integrating geological/spatial data"
Built using standards such as COM, XML, and SQL, ArcGIS can be easily integrated with the structure of the information system and data of any organization or individual. Given that GIS extends to new applications and new user communities, ArcGIS solves the challenges of offering and receiving data and related GIS services to users all around the world. The versatility of the program allows being used in a variety of areas: from land cadastre, geodesy, cartography, and telecommunications, to geology, ecology, management of water resources and subsoil, oil and gas industry, and even remote sensing. In the geodatabase, we can define rules and relationships within the repository that define the behavior of spatially interconnected geographic (or geological) objects and object classes and ensure the data integrity. ArcGIS requires dedication, endless hours of study in order to master all the available features, the learning process is hard, nevertheless, once you get to dominate all its functionalities according to your need, the potential of ArcGIS is almost limitless. As an independent professional dedicated to remote sensing, ArcGIS allows me no just to work with multispectral and hyperspectral images, but also using phyton, it saves me considerable amount of time automatizing routine operations related to atmospherical corrections and map algebra. Also, to perform geostatistical analysis, became a ten minutes activity for me using ArcGIS, and it is very usefull for sharing work load, the possibiliy to connect data from ArcGIS Online and crete connections to various map servers. ArcGIS platform and suite of software products provide the best there is for doing deep GIS. The latest release of ArcGIS Pro contains the FME 2018 engine which allows embedded full motion video within any spatial GIS model you have built. Esri should invest in creating a native MacOS version, even though they have iOS versions. I know this means a complete makeover of the core architecture, but the acceleration it could provide running on the OSX unix platform would make for the best of the elegance of user interface, the security of a Unix runtime architecture, and the speed of code execution that Apple Computer is extremely jealous about maintaining. While the competition has grown, Esri's ArcGIS platform is still head and shoulders above the rest. Much of the field itself has been defined by the evolution of ArcGIS, from terminology, tools, look and feel, to the massive stored data made available to customers and online subscribers. If there is a problem GIS can solve, it is likely that ArcGIS platform will be the first with a tool to perform that solution. Use ArcMap, ArcCatalog, ArcGlobe, or ArcScene, to create maps, and perform almost any type of spatial analysis. We built a complete 3D GIS of the interior of the San Diego Convention Center (3 floors) and the adjacent hotels (Marriott & Hilton) with conditional routing from any room to any room. We are in the process of creating an iOS version as a template that any convention vendor can populate with their own meeting data for each room. This includes alternate ADA routing across all 3 floors (no use of escalators, etc.). Note: The latest SLICE exploratory analysis tool in ArcGIS Pro allows you to "slice" down through multiple embedded layers of data. This ability to slice up 3D models like a loaf of bread is absolutely mind blowing in potential uses! "Mi Software de Trabajo Principal"
Estoy vinculada con los actividades de tipo geográficas y territoriales, por lo tanto el uso del ArcGis en mi trabajo y estudios es primordial. Este programa me ha ayudado en la visualización, gestión, edición, cálculo, análisis de entidades y atributos georeferenciados en mi cotidianidad . Otra aspecto que me gusta del ArcGis es el uso del ArcCatalog, que permite buscar y hacer operaciones de manera amena, permitiendo las vinculaciones directas con Servidores de bases datos, Servidores SIG, base de datos, servidores WMS , y su conexión con grupo de información disponible en Internet e intranet. En general el programa me gusta mucho y lo he utilizado desde hace más de 12 años. Sin embargo, este programa cada día demanda mayores requerimientos del ordenador donde se instala, para que funcione de manera óptima la parte gráfica, lo que puede generar retrasos al trabajar con una cantidad importantes de entidades desplegada en Arc Map. Recomiendo ampliamente a la comunidad vinculada a temas espaciales-geográficos , el uso del ArcGis como programa de manejo y administración GIS. Tiene variadas herramientas y aplicaciones para innovar y crecer en esta comunidad. Además ArcGIs es un programa líder en su ámbito. Los problemas que resuelvo con ArcGis están reflejado en mi trabajo diario. Siempre me llegan solicitudes por parte de supervisores, cliente, compañeros de estudios y colegas de diferentes tipos de información geográfica, que este depurada, georeferenciada ,analizada y en su formato de salida cartográfica . Por lo tanto, para poder hacer todas esas operaciones es necesario utilizar el Arc Gis, para manipular entidades con sus atributos de manera eficiente vinculados a los requerimientos de terceros o mios. Tengo muchos años utilizando ArcGis, es una herramienta fundamental para mi trabajo. He tenido la oportunidad de probar otros software SIG, y he comprobado que ArcGis es realmente poderoso. Me parece que es fácil de usar, tiene una interfaz amigable y una amplia gama de herramientas de geoprocesamiento disponibles. Me gusta también que dispone varias opciones para llegar al mismo resultado, pudiendo elegir la mejor según las circunstancias, y además, la salida cartográfica es incomparable. Una de las desventajas que presenta el software, son sus elevados costos. Por otra parte, requiere de un computador potente para ejecutar las tareas de forma rápida. En la parte de cartografía temática, siempre me ha disgustado las limitadas opciones cuando queremos realizar gráficos para representar las variables. Lo primero es que si piensas utilizar ArcGis, debes tener una buena computadora, específicamente con buena capacidad en memoria RAM. Esto garantizará que el programa corra adecuadamente. De lo contrario será insoportable procesar información. Yo recomiendo este software por su gran cantidad de herramientas, considero que no se iguala a algún otro software GIS. En mi desempeño como profesional de la geografía he utilizado ArcGis para la regionalización del territorio, el análisis del sistema urbano regional de distintos ámbitos territoriales, y la construcción de cartografía topográfica y temática para el diagnóstico territorial. "ArcGIS: El mejor aliado para realizar cartografía y análisis geográficos"
Lo más representativo de ArcGIS es la capacidad de soportar gran cantidad de información con una alta velocidad de procesamiento, permitiendo generar cartografías temáticas de gran valor, las cuales van acompañadas de bases de datos completas y manejables para cualquier profesional.Por otra parte, las herramientas que posee ArcGis son únicas en cuanto a la facilidad de uso y confiabilidad en los resultados. Por otro lado, el soporte de las imágenes de satélite en este software es excelente, ya que permite la combinación de bandas de una manera práctica y agradable para el usuario, lo que genera un aumento en la productividad y mayor eficiencia. El diseño de cartografía es muy sencillo de aprender y a su vez de utilizar, posee una amplia gama de colores, de formas, gráficas y figuras, la capacidad para guardar las paletas de símbolos y estructuras es excelente. La licencia de este programa es un poco costosa, es su mayor desventaja, pero en realidad en cuanto a su funcionamiento vale lo que cuesta. Recomiendo este software en toda su totalidad, ya que es una herramienta super potente, creativa, amigable y enriquecedora para cualquier profesional, ya que les permitirá plasmar el territorio de una forma gráfica y comprensible a través del comportamiento de cualquier variable que se este requiriendo estudiar o conocer. ArcGIS me ha permitido la generación de cartografía temática amigable y comprensible para cualquier profesional, a su vez ha facilitado el análisis de imágenes de satélite especialmente para generar actualizaciones de los usos del suelo de cualquier territorio. "La mejor opción para utilizar un SIG "
Nos encontramos ante el Sistema de Información Geográfica más completo del mercado, solo al desplegar el menú de herramientas nos damos cuenta que contamos con más de 40 opciones para procesar datos geográficos de cualquier tipo (raster, shapefile, cad, entre otros), ademas de todas las herramientas para transformación de datos, ajuste espacial, estadísticas de imágenes raster, modelación de altitud a través de modelos digitales de elevación, todo esto complementado con muchísimas extensiones que permiten enfocarse en temas particulares, como el procesamiento de información estadística con fines espaciales, el geosideño o la modelación tridimensional. Sencillamente ArcGIS es el mejor SIG. ArcGIS es un software extremadamente costoso, lo que limita las posibilidades de muchas personas de utilizarlo como herramienta de trabajo común, esta limitación del costo incide directamente sobre donde se pone en practica el software dado que son grandes empresas o instituciones publicas las que tienen capacidad de pagarlo, una pequeña o mediana empresa, o un grupo de emprendedores no podrían adquirir el software, limitando así la capacidad de utilizar esta increíble herramienta. ArcGIS es una herramienta que todas las personas que realizan análisis geográficos deberían poder utilizar, la cantidad de herramientas que posee hace que se ajuste prácticamente a cualquier necesidad, sea esta ambiental, urbana, rural, administrativa, empresarial u otra, ArcGIS cuenta con una herramienta que va ayudarte a entender la dinámica espacial, y como mejorar la condición de tu empresa, aumentando los beneficios y utilizando mejor los recursos. ArcGIS a contribuido a mejorar los niveles de atención de nuestra empresa, dado que conocemos la procedencia de la personas ello nos ha permitido ampliar nuestro mercado hacia lugares donde proviene la mayor cantidad de compradores y hacer más placentera y cercana la oportunidad de conseguir el libro de su preferencia. Todo esto se ha realizado cruzando datos espaciales con registros administrativos que en conjunto contribuyen a entender mejor la relación entre empresa y consumidor. Visual capacity for maps is amazing and fascinating. We can create maps easily and easy to learn as well. Cant handle big data, gets too slow with that data. You have to work with python to diminish that downside. Also it s having problems competing with other data based startups in terms of mapping tools. The problem is somehow product needs to increase its capacity to handle big data in different ways, some startups are moving forward while ESRI is struggling with that. If you re dealing with huge chucks of data, i suggest you look other options. Visualizing any data regarding traffic related or not traffic related. It is easy to interpret numbers with using mapping, at least easy to present. Providing spatial analysis is an effective tool thanks to ARCGIS. IT certainly uses spatial and numerical anlaysis easier in terms of visualization. "ArcGIS - ArcMAP: A useful tool for environmental consultants and engineering firms alike"
I Like ArcMAP mainly for the flexibility and ease of use in creating professional quality spatial maps for clients and potential projects. It's interface is easy to understand and use with just a few hours of training and guidance. Not really a dislike, but you should really use a desktop computer with some processing power to be able to use multiple tools on multiple maps - all at the same time. Try to get into some of ESRI's learning modules if you're unsure of what you're doing. Their website is very informative and has free learning options for different tools in ArcGIS. I'm using ArcGIS to create maps, analyze data, perform calculations, and provide clients with spatial data collected in the field. "This is the GIS standard"
Firstly, the support. No GIS software comes with as much support online, from other users, through esri directly, or in school. This is the software taught in schools, and is what every industry uses. Also, once you have an active account, you have access to the most robust web mapping API on the market. This claim could probably be challenged, but I haven't seen anything that provides such a low barrier to entry that also allows for deep customization through the Java API. The price. This software is not cheap, especially for a small business. Additionally, the newest version, ArcGIS Pro, is still a bit buggy and can lag, but it's getting better. The software isn't necessarily intuitive. I spent several years learning and using it in the university. That being said, ArcGIS Pro is trying to make it more intuitive. This is the standard. I would only recommend something else if you have no money and must have a free GIS software suite. Otherwise, there shouldn't be any question. If you are going to learn GIS, learn the one that every employer is looking for in a GIS analyst. We use ArcGIS to locate and map client assets that they themselves may not know where it is We also use ArcGIS for content creation for use in a Google Maps environment. I love how user-friendly this program is. Whether or not you have any experience with ArcGIS, you can still maneuver your way through and learn how to create maps. If you are experienced with mapping, it can very easily create very precise and presentation-worthy maps. ArcGIS Online is also great since it is cloud-based. I wish there was more symbiology and styles. Also, having to import old styles one and a time can be very annoying and tedious. The toolbars can be a little confusing at first - they take some getting used to. ArcGIS is used by so many people so it is worth it for an individual or a company to purchase the product. The support team is always helpful as well. I am learning to create maps for our transportation department at my workplace. ArcGIS is useful and used by everyone so it's easy to share files. We create maps for our clients that very clearly label issues and solve problems. This program is extremely useful for engineers and planners. ArcGIS is the premier mapping software to use for professional mapping. The package comes with ArcCatalog, which is great for organizing files. There are many ways to use the software, if you can learn how the functions work together. Everything is referenced on a coordinate system, which means everything you do is fundamentally related to the real world. The raster uses and analyses are high-level as well. The program can be error-prone, takes a lot of space, and randomly crash. It can be difficult to change coordinate systems if the data you're starting with has a non-specific coordinate system. There are a lot of uses, which is a double-edges sword: it is easy to learn enough to use in everyday basic applications, but it takes a lot of time and effort to really become an expert in using ArcGIS. This helps us map site plans, sampling locations, geology and hydrogeology, and engineered solutions for our clients. The majority of our use is basic two-dimensional problems. The use of layers and geo-databases is extremely important. We could get more use, but without having an expert the use is somewhat limited. "Perfect for everything GIS, albeit a little expensive "
ArcGIS is extremely user friendly. Not only this, their online support as well as the online community is so massive there are few questions that have not been asked or answered at one point or another. I've also always enjoyed their community involvement and workshops which go along with Arc. The worst part about ArcGIS is that it is so "black-boxy". What I mean by that is any processes completed, ranging from geocoding to slope interpolations, do not have an exhaustive list of steps taken to reach the specific geo-coordinates, or percentages. It is also fairly expensive. ArcGIS extends well through-out the private and public sector. Being able to share maps with various clients is extremely important, and ArcGIS allows that. "ARCGIS completo y funcional "
La posibilidad de realizar tantas tareas, desde vectorizar una carta geográfica hasta trabajar estadísticas en mapas temáticos, excelente como herramienta para la planificación de un determinado territorio. Los requerimientos del hardware para su instalación, requiere de un buen equipo para tareas complejas. Publicaciones de mapas temáticos según los requerimientos del cliente, totalmente funcional para estudios de planificación al momento de emprender proyectos de construcción que puedan afectar el ambiente, y poder ubicar la mejor zona para su ejecución. "A one-stop shop for your geospatial needs, but with limitations"
ESRI software can meet most of your organization's geospatial needs with little to no coding background required. 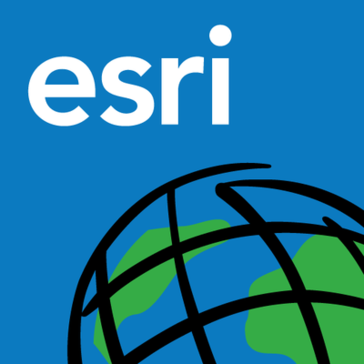 If you need to quickly stand up apps, web maps, and hard copy map production, then ESRI software will likely be a good option. ESRI software carries a hefty price tag, and switching to other software vendors down the road will be very time consuming. The web application deployment environment leaves much to be desired (latitude geographics Geocortex product does this far better). The software is rather buggy, and can be maddening to work with at times. ESRI provides us a way to visualize and analyze data for our internal customers in ways that aren't possible without a geospatial perspective. Specific to ESRI, we are able to quickly build web applications and hard-copy maps for our customers with little custom programming required. "ArcGIS Online - Operations Dashboard"
The ease of use, users can build an ops dashboard without having to know coding or dev work. Users now have the ability to build a dashboard and customize it to meet their needs. The customization of the data flow is simple and making the dashboard look and feel the way our company needs it to. The Ops dashboard has given us a real-time view of data flow combined with the geoevent server and filtering data streams we can view our regions of the world and monitor drought, weather, crime, and other natural resources and their current state. The online training and documentation is great, keep up the good work when it comes to producing quality recent videos and documentation in the ESRI online learning portal. The ops dashboard dosnt allow for internal alerting to text or email. I have to set that up on the geo event server which is not as simple as using the ops dashboard. I wish there were other colors instead of dark and light, we may need an ops dashboard to have a dark blue background or a tan background for work in Egypt. Setting up the dashboard can be a bit of a learning curve for those who are not use to ESRI products. Go to a demo, try the online free ArcGIS cloud, meet with an ESRI rep and see whats possible. We have solved the issue of tracking all of our intrests in one location, we can see whats happening where and when with the ops dashboard. I have been working with ESRI products for well over 10 years now, and its been amazing to see how quickly the technology has been evolving and streamlining. It always seems to be one step ahead in anticipating the needs and requirements of its customers, clients and the public at large. The accessibility to online training is also a tremendous asset. I work in a contingency and emergency operations center for the US Army Corps of Engineers, and we have been developing numerous emergency dashboards and story maps to relay information relating to wildfires, hurricanes, etc. We have devleoped viewers for our power missions, blue roof missions and debris missions using AGOL, and using them to brief our senior leaders. There are SO many different uses for ArcGIS; I've worked with the program for two years now and only really used two main functions! No matter what sector you are in this will be immensly valuable! The visualization tools are constantly improving and already make amazing maps both on-screen and on tangible media, and obviously the analysis tools leave little to be desired. The largest issue that I've run into is the program crashing. I deal with big data on relatively new machines and despite their power, it can be pretty easy to overpower them. While it is easy to get the hang of what the software will or will not be able to handle, it would be nicer to have a program which draws less processing power. Just like any program, it just takes a little bit of time to get the hang of. Also, the online trainings are quite valuable! I am a research assistant dealing with historic public health, so the major benefit is pattern recognition. "ArcGIS as a GIS Professional"
Esri/ArcGIS has a much slower development cycle than many of their (open source) competitors. You'' find that other companies will release new tools/functionality and a while later (often a year or two) Esri/ArcGIS will release the same functionality touting it as the latest and greatest. Because of thier market share, people often aren't aware that the smaller companies havebeen doing it for quite a while. A full stack, enterprise level GIS system that allows us to manage and distribute data, services and tools across a wide platform and 100s of users. "The best and most complete geographic information system you can find"
The amount of modules and spatial analysis tools that this software has make it the best and most complete system to work with, as long as you have a good computer. This software is one of the most robust in the market; Your space analysis tools are well developed. Because it is a very robust software it is necessary to have a computer with good memory capacity to be able to have a better and faster results in the processing of geographic information. The image processing module does not seem so complete, I think it is necessary to develop it more. Before acquiring this software it is necessary that they have good computers, because if they are going to work with satellite images the program will be very slow to process. It is the most advanced geographic information system software on the market, it is very complete and has helped me a lot with spatial analysis tools. "The geography of everything through software"
The costs of the license and of the extensions can generate a problem in the moment that an analysis is needed and there is no tool available, so we must be very attentive to which of them we are really going to need and pay . Arcgis es una potente herramienta que permite a cualquier persona que maneje datos geográficos, publicar y compartir con todo el mundo sus mapas web y además crear aplicaciones de mapas interactivas online. Ha sido muy importante el uso de geodatabase para los datos geográficos de la organización a la cual pertenezco ya que en la geodatabase, la información espacial se encuentra en un marco de referencia espacial común (Feature Dataset), garantizando las relaciones topológicas. Además permitió, a través del dominio minimizar la posibilidad de introducción de datos erróneos o incongruentes y aplicar valores por defecto y dominios a los campos de la entidad en función del subtipo al que pertenecen, dandole valor a los datos utilizados, asegurando la calidad de los datos geométricos dentro del sistema geográfico implementado, de forma general. I like the feature that allows you to download datasets and manipulate them in various ways. You can make your geospatial data as complex or as simple as you would like. I disliked the user interface which seemed very early 2000's-eque. It may be very difficult to navigate and watching tutorial videos will most likely be required. The learning curve may be inconvenient, however, it is to be expected with software that offers such a wide range of advanced features. I recommend that you allow yourself a good amount of time to get past the learning curve with this product. Once you get the hang of it, however, there are many advanced features available on ArcGIS that are not available with other similar types of software. This program allows geospatial data to be overlayed on maps. This is extremely practical for any business that can benefit from data insights. Esri's ArcGIS is the standard GIS for a reason, it simply works. Esri provides quality services and products that will fulfil your requirements. There might be other GIS software around, but they do not provide the service Esri can. Esri makes a great GIS, sadly it comes at a cost many can not afford to implement. Although much of the geoprocessing capabilities are available for free in other open-source software packages, non of the others provide the survice and backing. It is equal to using Windows 10 to Linux, they both do the same thing and depending on situation one performs better the the other but for a majority of your computing windows is fine. I have realized that Esri does a spectacular job at providing customer support and troubleshooting services. Their software is expensive but they do stand behind it 110%. "Great tool for spatial analysis and many other purposes"
We use ArcGIS for working with maps and geographic data. I cannot say it's very easy to use, but when you get hang of it, it is very useful and make a big difference in research. The possibility of superimposing data, using different data sources, its capability to be used in different filed, even in social sciences, is great. I usually use it to map archaeological and cultural data, and to run several analysis. It is fast and the best thing about it is that the products of research is visual and understandable to different groups of people. I do not like the undo option when I am working with it. Sometime when you use undo you'd lose data. Also sometime for some reason that I haven't figured out yet, I lose some of my processes and have to do them again. Also, it is very expensive! Since I am working for a university we can use it there, but if I am not affiliated with somewhere that doesn't have the program, it is too expensive to purchase it. It is a great program for different types of data mapping, analysis and spatial analysis. We all need to give it a try in this advancing world of research. Assessing cultural heritage, archaeological sites, impact of natural and environmental factors on different areas, mapping archaeological and cultural resources. The benefit is that we can easily share the results with other experts and also we can use other researches in our own research. It is a harmonious way to share knowledge.
" My experience with ArcGIS, the most complete software in the field of GIS"
There are no elements linked to the technological developments required by the GIS that are not present in ARCGIS. Within which we can mention. connection to databases, loading, administration, processing and analysis of data located online, interconnection with several users, loading of point clouds, elevation of structures, manipulation of raster data, loading of data platforms of other web software, topography of geoforms. Export and import of vectors from CAD, coverage from and to other programs, any type of bitmap format, aerial photographs or satellite images, all can be displayed, manipulated and converted into information frames through ArcGIS. ArcGIS enters the GIS world with the GeoDataBase format, a repository that suppresses the loss of information due to the loss or corruption of some component of the old base files, called the forms file. It offers the possibility of analyzing the temporal evolution of the occupation of the urban territory, the analysis of rain flows, defining areas of slope or demarcation of basins through the processing of contour lines. Generation of level curves by masses of points captured by the flight of a drone, within all the written I have not mentioned more than 20% of the options offered by the software. The main problem that the user must deal with is presented in the acquisition of the license, defining if all the analytical tools are wanted or only some of them and in what range they are, since the costs vary according to the client's intention and the robustness of the system to be implemented. It is worth the cost, but if you do not have a good resource to invest, it is best to research the best option, in the same way, ESRI advisors will know how to tell you which best suits your need. With ArcGIS I have solved several problems; first, errors in the topology that other programs do not correct and that generate a considerable error when performing surface calculations. Another important point is the editing and configuration functions of a final map for printing, with ArcGIS saving two days of work, which invested in other software to achieve the desired quality and representation levels. And finally, the management and standardization of processes through the model constructor, where I develop the links of the variables together with the processes, simulations and analysis methods that I wish to apply, having defined the models, I can apply it in similar studies in other areas. Space zones and the results will be obtained in a couple of minutes. "ArcGIS is the Industry Standard"
I like that I can use ArcGIS to communicate with fellow scientist all over the world about a specific area I am researching. We can share updated updated maps and data instantly. I like that Esri also makes softwares such as Collector and Survey123 to work hand-in-hand with ArcGIS. The software is very expensive. Especially for students who are in the scientific community. I wish there was an educational discount for students/faculty. I remember the course I took back in college had us download the free 60 day trial. However, that did not last the entire semester. If you are taking field research seriously, you must know this software. I have used it for every job I have had. We are utilizing the software to record wildlife presence and abundance. It's used to record how many species of milkweed at found in a specific plot to how many Monarch larvae were recorded on blooming plants. When we as a team are dealing with over a dozen plots, it helps us keep track of where we are going and which plot was which. That seems to easy to do until you are out in the middle of rolling grassland prairies and everything looks the same. "An Offline Software that connects seamlessly online "
Arcgis is probabaly best used for its mapping utilities. Specifically, what I enjoyed the best was that heatmaps with specific filters can be made within the software and then (after signing up of course) it can be transferred a work in progress with colleagues around the world. Additionally, these features do not necessarily need the offline software to work. If you are strapped for time and need to maleness a quick presentation the go like I did, ESRI allows for an online Arcgis tool. It started off as barebones but now it is fully robust and approaching maturation. My major gripe about ArcGIS would be the dependency when a file needs to be saved. To elaborate, when saving a project that’s is a work in progress m, arcmap saves your progress into different directory trees. These trees need to be saved on a flash drive in the exact same order if you want them to work flawlessly on another computer. This makes saving work so that you can work from the office or home a bad experience. There is a solution, which is to upload it to their cloud but for hose of us who don’t want to remembers another password we are stuck with meticulous saving. ArcGIS for my company is used mostly for fluid mapping. Specifically, we map particulate matter 2.5 to ensure that concentrations in the industrial sector do not reach a public hazard level. If it’s does, we deploy a patented filter to industries to help them mitigate their problems. Some benefits are that the map making process for these purposes are extremely simple even to a beginner. Mostly because the map is only as good and it’s data and arcgis handles raw excel data very well when needing to interpret it into a visual aid. "La mejor herramienta para analisis espacial"
Cuando se trata de realizar y analizar cartografía temática, imágenes de satélite o radar, o cualquier otro elemento vinculado con el espacio, ArcGIS ofrece la mejor opción para todos esos usuarios que utilizan el análisis espacial para realizar diagnósticos de el terreno rural o urbano, sobre los usos del suelo, la distribución de la población, el marketing entre otros, permitiendo gestionar bases de datos numéricas y transformar estas en elementos espaciales principalmente a traves de shapefiles y de esta forma permitiendo sacar conclusiones, determinar patrones o fijar puntos de vista sobre las tareas a realizar para que los cambios en los patrones de ocupación espacial no afecten la calidad de vida de la población. ArcGIS ofrece un sin número de herramientas para realizar análisis, desde la Topology, el Cadastral Editor, los 3D Models y muchos más que dependiendo del contexto pueden utilizarse para realizar análisis del espacio más precisos y prácticos. El precio es la mayor limitación de este software, es extremadamente costoso, y produce que una pequeña o mediana empresa no pueda adquirirlo, ni utilizar todas las herramientas que posee, esto puede ser una gran limitación dado que muchos modulos y extensiones se venden de manera independiente, limitando al usuario a utilizar solos las herramientas por las que pago, sin poder utilizar el resto ni en modo de prueba. ArcGIS realmente no tiene comparación con otro software del mercado, sencillamente es el mejor, tiene que utilizar aunque sea su versión de prueba, para conocer las potencialidades de este gran software y la magnifica cantidad de herramientas que posee, y son aplicables a múltiples realidades sociales. Con ArcGIS hemos podido especificar las áreas de atención y entrega de productos, mediante la georreferenciación pudimos conocer cuales eran las áreas mas y menos accesibles, y así establecer rutas mas eficientes para la entrega de los productos, igualmente pudimos calcular los tiempos de entrega y hacer más eficiente la utilizacion de los vehiculos de carga que trasnportan nuestros productos. "El mejro SIG (GIS) del mercado "
ArcGIS es el mejor software del mercado para realizar todas las tareas vinculadas con análisis espacial y manejo de bases de datos geográficas, la interminable cantidad de herramientas que posee hacen que con ArcGIS y cualquiera de sus extensiones puedas realizar análisis del entorno urbano, ambiental, geodiseño, hisdrología, modelos digitales de terreno, análisis de cuenca, procesamiento de imágenes de satélite, modelación en tres dimensiones, modelación de procesos geoespaciales, y muchísimas otras actividades pueden realizarse con este SIG. Las extensiones de ArcGIS como Catalog y Arcscene permiten el primero mejorar los procesos del manejo de datos, dado que su función es mantener organizada la información en ficheros y lograr que esta sea ordenada en principalmente en Geodatabase para mejorar su procesamiento y manejo, mientras que Arcscene permite hacer modelos, simulaciones y videos, especialmente asociados a modelos digitales de terreno y procesamiento de imágenes raster. La mayor desventaja de ArcGIS es el precio, es un software extremadamente costoso, especialmente para emprendedores o pequeñas empresas que deseen utilizarlos para realizar estudios e investigaciones, en este sentido, las versiones de prueba son sencillas y bastante limitadas, solo tienes opción a unos pocos módulos que no te muestran todo el potencial que tiene la herramienta. Tienen que utilizar ArcGIS, sin lugar a dudas es el mejor SIG del mercado, no tiene comparación con ningún otro software así sea privativo o con licencia GNU, en este sentido, ESRI siempre ha mantenido la supremacía sobre sus competidores, con esta herramienta que es indispensable para cualquier profesional, técnico o académico que trabaje con información geoespacial. ArcGIS nos ha ayudado en la organización a gestionar todos los procesos de levantamiento de información y generación de planes mediante información geoespacial para realizar el mantenimiento de la ciudad, la facilidad de vectorizar cartografía, agregarle atributos y visualizar esta en mapas temáticos o en el mismo programa ha permitido establecer áreas prioritarias y utilizar los recursos físicos y humanos de manera más eficiente. ArcGIS is a great software for sorting through and displaying large amounts of geographic data. The online interactive platform ArcGIS Online is incredibly useful. Esri's ArcGIS is still developing in some newer areas in GIS, so I regularly run into questions about software functionality--"Can I do this feature in this way?" and sometimes the answer is not yet, which is fine but requires finding a workaround. For example "clumping" coincidental points is new in ArcGIS Online, and "scattering" is still in the works, both of which are/would be useful for the display for my work. For me, using ArcGIS replaces updating spreadsheets and map graphics separately, which is awesome. It cuts my work time in half. Esri is always expanding what you can do with the software. I have never looked for GIS outside of my workplace though, so do research competitors/companies with GIS services if you're considering using ArcGIS. I work for a local government and we use ArcGIS to track geographic data about the city, use it for city planning, and be transparent in sharing this data with the public. ArcGIS has been great for sharing this data internally and externally in map format, and is very accessible (especially ArcGIS Online, the online interactive platform). I like the ability to map different layers of data points, and that you can adjust colour and shape of points to make it easy to distinguish. The base layer maps are also really helpful and add a lot of meaningful information to the maps I build. Over the platform requires a degree of skill and problem solving to figure out how to work it, but it is a very diverse mapping tool so that is understandable. I would recommend Esri ArcGIS from both simple location mapping tasks as well as more complex data mapping projects. It is a very diverse tool that I have not seen anywhere else. I map a lot of GPS points to track project locations and determine distances between sites. It is a really quick way to visualize hundreds of sites and it is easy to upload mass files of site information which saves a lot of time. The program can be error-prone, takes a lot of space, and randomly crash. It can be difficult to change coordinate systems if the data you're starting with has a non-specific coordinate system. There are a lot of uses, which is a double-edges sword: it is easy to learn enough to use in everyday basic applications, but it takes a lot of time and effort to really become an expert in using ArcGIS. While the analysis functions can be excellent, they can also be a let-down as they don't account for statistical anomalies. There are a lot of free mapping apps available, and they are good for small-time personal use and professionals who need limited use. However, for anyone who needs to map items regularly, I recommend ArcGIS. I like that ARCGIS is easy to get started with and simple to understand. The graphics and the UI of the program make it easy to use and develop complicated mapping systems with relative ease. There are many layers and options of viewing and mapping data points. Can be difficult to get the locations correct without some information. Can be confusing if you are not careful. Some demographics can be slow to update and lag if connection is not strong. 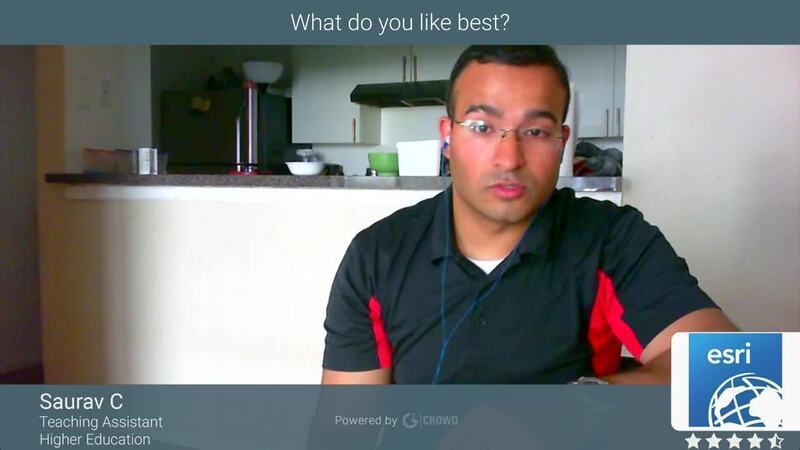 ArcGID is super powerful and can be integrated into any business culture with ease. It can be used in several different ways and connectivity is easy compared to other solutions. There are endless possible ways to use this product to your advantage. If you fully put time and effort in, you will be able to solve several problems and organize data in a way that suits your needs. It also does a decent job of running formulas in-house without the need to export/re-import. The fact that there are multiple ways of doing one thing. This is not necessarily a drawback, but it is something to keep in mind when communicating a step-by-step process to other users. Two different GIS users may use different methods to arrive at the same outcome. Worth it. There are endless possible ways to use the product to your advantage. If you have an employee willing to learn it and apply it. Get it. Data organization and data sharing needs, as it relates to spacial analysis. Support in the past several years is less user friendly and accessible. It is not easy to find topics on the older software, and all efforts are directed toward on-line products. Our small rural county does not have resources to employ these products, and there are many, many users out here that are in the same situation. The very helpful forums are obsolete or hidden from access. This is virtually the only GIS software available. Yes, there are many "free" applications, but industry-wide esri is it. Sharing data, results of analysis and peer support is easier when we are all using a compatible product. Internet mapping is a very cool feature, with which we can access the maps from anywhere in the world. ArcGIS is way ahead in functionality as compared to it's comepetitors. Firstly, arcGIS license is very very expensive. Secondly, the ease of use is also an issue, like for example, with the OGC services connection, it is required to download and install the Data Interoperability extension, whereas while using other softwares, you can do that with one click. Spend hours to understand the different functionalities of the software, inorder to get the full use of this amazing piece of technology. Because, if you do not study the software properly, you will surely miss out on a number of cool features. Mapping. Adding information to maps. Now I have used this software in a project, where I had to show flooding in a region during extreme raiinfall in Mumbai, India. I used layers with color coding to depict the extent of flooding in different regions, and this could be used for drainage system planning by the government. Color coding was the feature, that was very helpful. It makes representing information very easy and intuitive. "ArcGIS, used by many for a reason"
Esri software always has a good help database, allowing newer users to learn how to perform functions and get answers quickly. For newer users, the help function and search are your friends. You can do basically anything with ArcGIS. There are so many field for which this software is useful. You can upload a lot of data and produce clean, professional maps. Symbology is easy to work with and there are many options. The more information you add into one project the slower the software tends to work, which occasionally causes crashes in the product. Sometimes errors occur because you missed a step in the data processing, the software provides you with information that says an error occurred, but sometimes the error messages are vague. The older or slower the computer you have the slower the software runs. Get a fast operating computer! Also, save often! You don't want to lose work because it crashed. I have used this software to look at bathymetric data. Using polygons to average GIS points to see whats going on temporally, erosion? deposition? etc. Also, I have used ArcGIS to observe historical site data. "Daily power user of ArcGIS!" I love everything about ArcGIS, as I use it coupled with Omega Crimeview to create weekly reports and to extract all sorts of criminal and traffic-related data. The product is a bit on the expensive side, but it is the best product available of its kind in my professional opinion. If you want a powerful mapping application with some of the best features around (which are mostly all-inclusive after you buy the product), then ArcGIS is the best there is. Our main city planning offices also use ArcGIS for their needs. My agency uses the software in the Crime Analysis Unit and in the Community Relations Unit to create maps, to include: crime maps, traffic incident maps, maps of popular locations, parks, and community centers, as well as route planning maps to assist presidential and other political visiting parties. "Great GIS software, plus programming possibility using ArcPy"
The graphical interface of ArcGis is user friendly. There are many functions implemented in the software, which are helpful for a lot of fields. I am a Cartographer in the background and I personally like the design interface and the symbols database. The software has issues while handling a lot of data and it usually crashes (at least the version that I use). So I prefer to do processing of big data volumes in other environment. I would like to have more statistical methods introduced in ArcGis, I think they might be useful. I recommend ArcGis for having a comprehensive toolbox and an easy mapping design interface. I am working in Spatial Crime Analysis for the present time. I use ArcGis for density analysis, regression models, different calculations, mapping and design. In the past I worked in Remote Sensing and I used ArcGis for mapping satellite imagery. "Industry standard....if you can afford it"
Because of ArcGIS's popularity, there are a lot of forums, blog posts, and YouTube tutorials out there if you are struggling with something. This makes the program easier to use in a sense. The high cost of ArcGIS means that I am limited to using it on my University's computers, which is not ideal. I prefer to work in my own office or from home, so I am more likely to invest in learning the QGIS interface since I can access it on my own computer for free. I find problem-solving using this program to be incredibly difficult. I typically have to rely on outside advice, as the online ESRI tutorials are often too complex or assume the user has a higher level of knowledge. More open source options for students. It is the industry standard for spatial analysis and graphics. I am expected to use it for my research and it allows for complex analyses that can be run with a reasonable amount of practice. both programs provide the entire suite of software at an affordable cost and might work for your needs. We hope you continue your learning and research using ArcGIS! "There is no alternative "
Not much to dislike about ESRI. Only fault is AGOL is too streamlined and doesn't offer much value in terms of analysis and mapping. We use to generate hotspots, kernel density mapping, as well as general cartography to show the layout of the county and where things are spatially. Currently we have had issues with upgrading to later releases, some due to external factors, but we have bee concerned with the slow development of the Water Utility Network and with it's initial rollout finally occurring requiring 10.6.1 which we may not be able to move to because of those external factors. Another issue, occasionally with development of the suite, some tools have sometimes gone away or changed in where they occur or how they operate with no clear forewarning. We have solved numerous business problems such as customer obligations, isolate and identify water main breaks/leaks, proactive maintenance of system components, etc. The benefits are numerous including cost savings, but most telling is the internal response from engineers and field crews who feel the infomation we provide by our systems is crucial to their daily job. Cartographic tools are exceptional. They provide you the ability to reach a fine level of detail when creating a map as well as controlling the presentation of data. Lack of support for non-esri based data. There are open data standards that exist both in the United states and internationally, that make it easy to bring in and share data. Esri doesn't support these in many cases, which is exceeding frustrating. If you are going to work with esri for the long-term, the likelihood is that you will get locked into their ecosystem and it will be difficult to move your data out if you wished. Another major issue is the lack of use of basic database functionality when handling data. Much of the processing that ArcGIS does is in their software layer sitting above the database. This layer replicates functionality that is inherently possible to do inside of the database, and many times, the database is actually more efficient at performing these tasks. By putting the functionality in the software layer, it makes it less efficient, and also creates inconsistencies with data that make it hard to move or share if necessary. Determine the business needs of your organization and create a plan for software that meets those needs. This may mean you need solutions outside of Esri, but don't be afraid of doing this as there are many solutions to these problems that may be more cost effective than a pure esri implementation. Sewer and stormwater tracking, community development and planning problems. Ease of visualization of complex planning project parameters. It is the powerhouse of all things mapping. I love the way the entire ESRI suite let's me interact with data and produce maps to change the world. I love SDE databases and how easy they make it to share data across different agencies. "Powerful tool to store and manage your data"
For basic maps it is fairly easy to create a map for a beginner to intermediate user. There are many powerful tools that can create many relationships out of your data. Not always user friendly or easy to use. The process to publish maps to our portal is not consistent and is not intuitive. There seems to be too many steps to get one data set published to the portal. As the saying goes in our company, "there are 14 ways to do one job in Arc, one is easy the others are hard and finding the easy way is not easy to find!" Training. Take a lot of training. Have your users take advantage of the esri online training. Geologic mapping and geochemical analysis. ArcGIS allows us to manage large data over multiple databases and with multiple users effectively. The new tools allow us to view our data to help us see our geology clearer. "The standard for GIS products"
Fantastic collection of base maps and implementation of user collected data. Layout options easily allow for professional looking maps. ESRI has great resources for training on this product. Incredible use of data transformation via toolboxes. Very easy to work within a recreational setting with large types of user collected data. Software requires database organization and maintenance. Can occasionally be slow when working with large scale maps. Large learning curve for the brand new user. * We monitor all Esri ArcGIS reviews to prevent fraudulent reviews and keep review quality high. We do not post reviews by company employees or direct competitors. Validated reviews require the user to submit a screenshot of the product containing their user ID, in order to verify a user is an actual user of the product. Hi there! Are you looking to implement a solution like Esri ArcGIS?